Semi Precious Stone Table Top series -- luxury stone dining table,coffee table, side table- ,surface finish is polished, table top shape can be round and rectangle,thickness is 2cm (normally 0.5cm blue sodalite +1.5cm natural commercial stone or artificial stone/glass/Acrylic); of course size can be customized. Also we can choose big blue sodalite block to produce one whole piece of table top. Big block doesn`t has so nice color as small blocks . 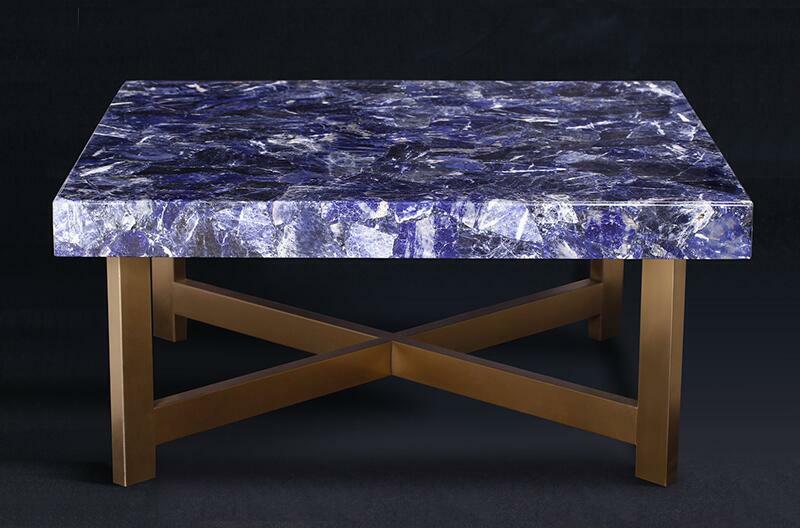 If you prefer this blue sodalite table to be translucent, you can laminate the slab with glass/Acrylic. Translucent blue sodalite is full of bright and fantastic colors and atmosphere. Also we can chose big blue sodalite block to produce one whole piece of table top. 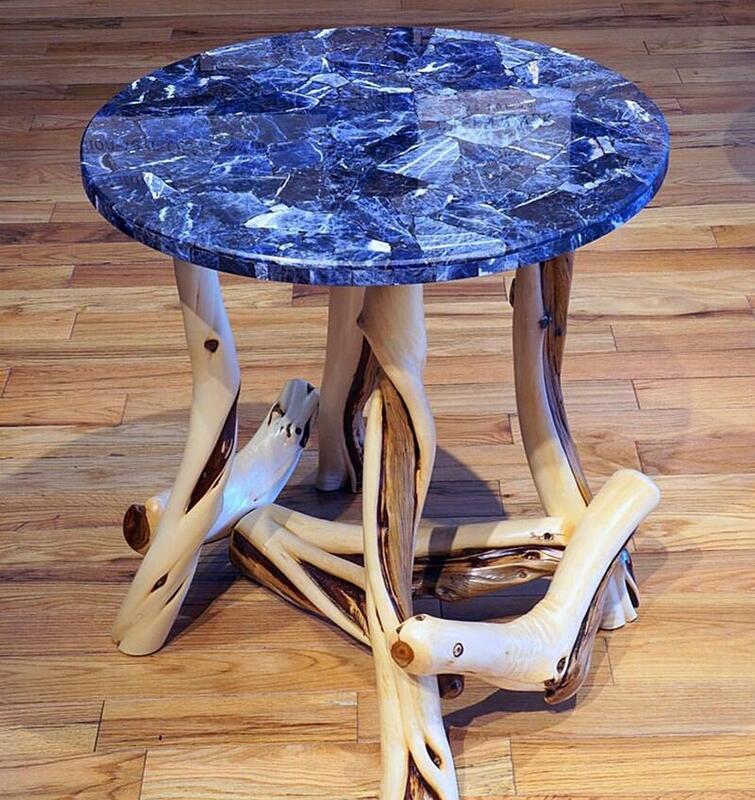 , blue agate side table, perhaps you also will like this kind of blue sodalite table. 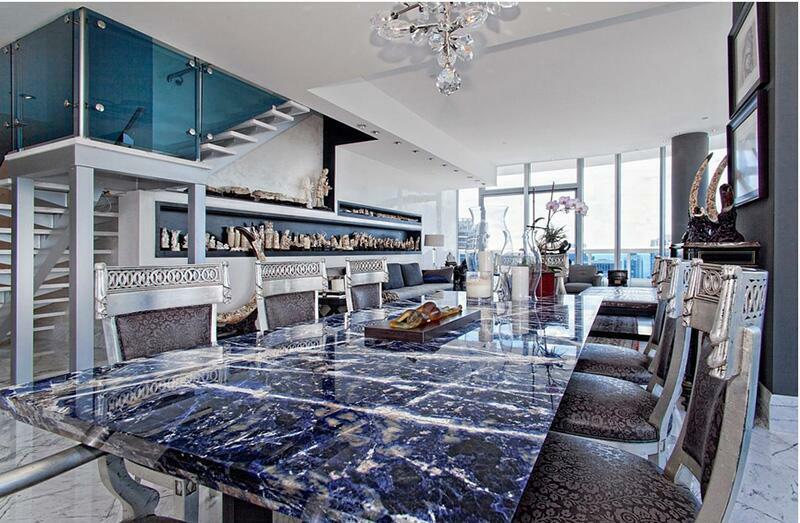 Looking for ideal Luxury Stone Dining Table Manufacturer & supplier ? We have a wide selection at great prices to help you get creative. All the Side Table are quality guaranteed. We are China Origin Factory of Coffee Table. If you have any question, please feel free to contact us.